APIC EM controller is key to company's answer to SDN. It's still in beta, and Cisco Systems Inc. won't say exactly when its software-defined networking (SDN) controller will officially launch, but the company hinted in a blog post today that the date might be approaching. The Application Policy Infrastructure Controller - Enterprise Module (APIC EM) is a long-awaited key component of the company's flavor of SDN. The traditional networking giant has demonstrated some inconsistencies in its reaction to the upstart SDN movement. 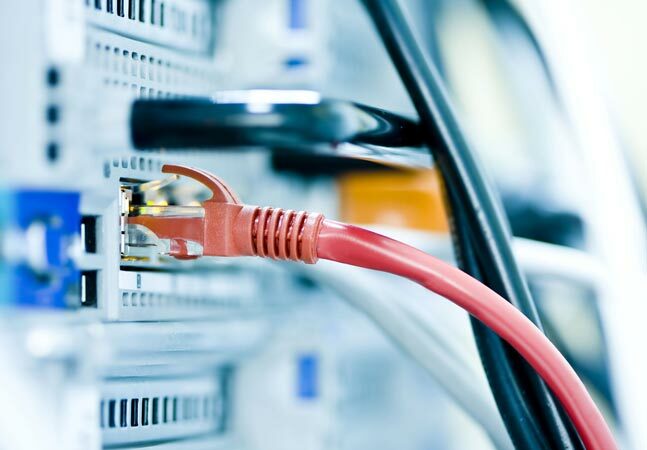 The messaging has solidified somewhat, though, and the company is touting its Application Centric Infrastructure (ACI) approach as being "better than SDN," though incorporating some SDN principles and technologies. 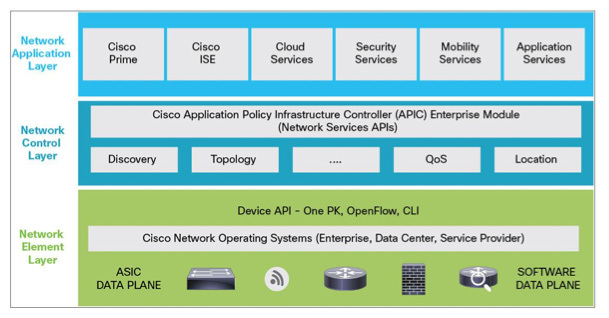 As the SDN controller part of ACI, the APIC EM is instrumental to Cisco's approach, because a key tenet of SDN is separating the controller plane of network topology from the data (or forwarding) plane and facilitating greater network programmability and central control. Cisco exec Susie Wee today announced the APIC EM would be available from the company's DevNet site in a blog post announcing "Cisco Invests in Developers." Wee's post served as an official introduction of the DevNet site, launched last December. A Cisco spokesman told this site that DevNet has reached "critical mass." "Core to the Cisco developer strategy, Cisco DevNet is a new and growing developer community that offers the tools and resources for them to integrate their software with Cisco infrastructure," Wee said. "Developers can tap the DevNet ecosystem and use the tools and community to create innovative network-aware applications. She said DevNet provides "a variety of resources, including engineering platform APIs, SDKs, ready-to-use code samples, developer support and community management. Cisco partners, Citrix, Davra Networks and Glue Networks are all using DevNet." Cisco said DevNet has grown at a rate of 40 percent since it went live and now features more than 100 APIs, with some 80,000 registered developers. The company is targeting year-over-year growth of 55 percent and plans to exceed 1 million registered developers by 2020. "We are using DevNet as the delivery vehicle for our ACI approach to SDN," Wee said. "Currently, the APIC EM for WAN and access edge is in beta. When available, customers and developers can download APIC EM via DevNet at no charge." 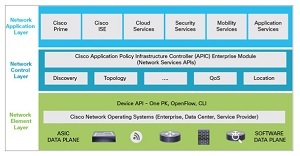 The APIC EM and ACI are part of the Cisco Open Network Environment, described by the company as "a comprehensive solution to help networks become more open, programmable and application-aware. The broad capabilities of Cisco ONE help meet the needs of numerous market segments, including emerging concepts such as SDN." The APIC EM translates business policy into network device-level policy, Cisco said. "It automates the deployment, compliance checking, and enforcement of network policies across your network to relieve you of the most pressing, complex, and tedious IT tasks. It uses an open and programmable approach to network-wide security, ACL change management, WAN path optimization, and quality of service (QoS). These capabilities collectively pave the way for incremental adoption of SDN in your organization." Cisco said more than 100 customers are participating in field trials for the APIC EM. Earlier reports had indicated the controller would be available in the second quarter of this year. The DevNet site indicates the final API for the controller will be released "early this summer."